�����Throughout the Seated Dimes, Quarters, and Halves series there are many dates that may have had substantial original mintages, yet, they are not often seen in the marketplace. Many of these dates, along with the truly rare dates in the Seated series, do not appear on dealer want lists mainly because they do not want anyone to know they are looking for them. 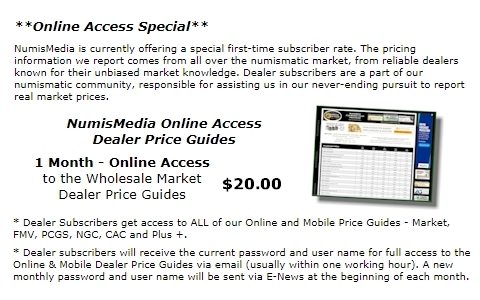 Knowing which dates are the toughest to locate is a bit of knowledge that many dealers do not want to share with competitors or the average collector. �����For example, the 1866 S Seated Quarter had an original mintage of 28,000 coins. However, NGC and PCGS have graded only a total of 24 coins in XF and all higher grades. Even some of these can be resubmissions so this total is likely a little high. Granted, there are probably many circulated coins in collections that have not been certified; and most of these would not be certified because of minor problems that most collectors tend to overlook. 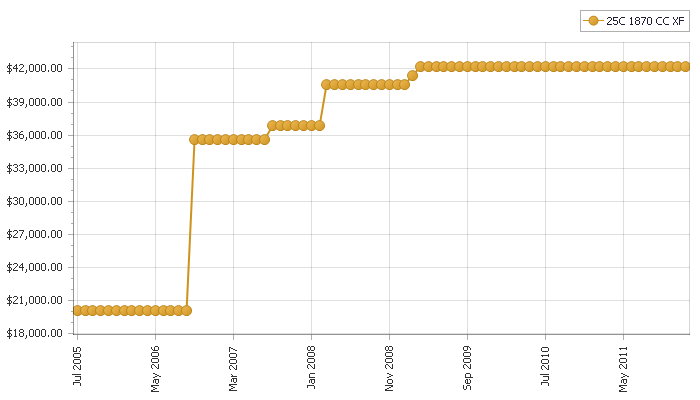 The following graph shows the progress of the FMV for the 1866 S Seated Quarter in XF from July 2005 to January 2012. �����As you can see, the FMV in July 2005 was $1,110 and now it is listed at $1,980. That is a gain of 78%. However, it is a difficult task to locate these coins and, when they do come on the market, competition usually drives the price to well beyond the current FMV. There are many other dates that have these same characteristics. The best place to begin is with lower mintage coins, and then check out the population reports from NGC and PCGS. If you have a date that has a certified population of less than 50 coins in all grades from Very Fine through the highest Mint State, you are on the right track. Additional information, for example, auction results over the last 10 years or so, can be a tremendous asset in determining potential availability. The Heritage Auction Archive can be searched back as far as 1993 and it is very easy to use. �����A prime example of a true rare date is the 1870 CC Seated Quarter. This had an original mintage of 8,340 coins. There are only 16 coins certified by the two grading services in XF to MS64. The highest grade we list in the FMV is an MS60 at $85,630. 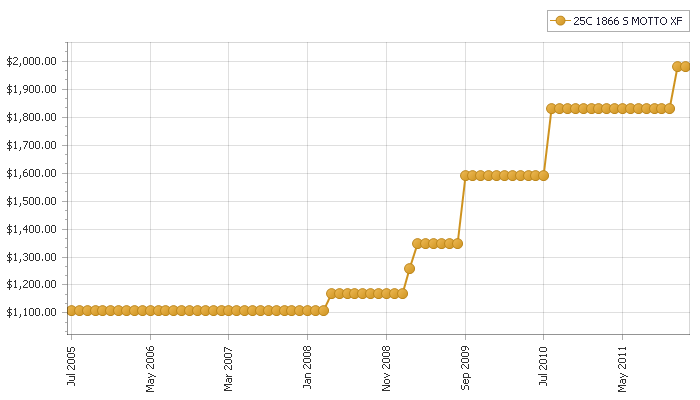 The graph for this coin in XF shows an increase of nearly 110% from July 2005 to January 2012. In addition, when a problem-free coin does come on the market, there is no telling how much premium it could bring in a hotly contested auction format. �����There are many other dates within the Seated Quarter series that have these same characteristics; it is up to the individual collector to pursue the challenge here or some other series.